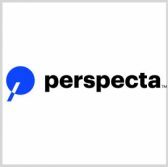 The U.S. Defense Advanced Research Projects Agency has awarded Perspecta’s innovation arm a four-year, $4.7M contract to produce a cybersecurity tool for the agency’s Cyber-Hunting at Scale program. Perspecta Labs is tasked to develop the data-driven WILEE platform designed to detect and characterize cyber attacks in real time to fortify multiple enterprise networks, Perspecta said Monday. The company will use iterative techniques to converge data from devices at the right time in order to locate, identify and mitigate threats. Perspecta Labs President Petros Mouchtaris said the project builds on the Perspecta unit’s research experience, technology expertise and implementation efforts on past DARPA cyber programs. The WILEE set of components uses analytic techniques such as adversarial planning, genetic perturbation and data-driven evaluation to translate high-level threat descriptions into potential concrete implementations. The platform catalyzes cyber hunting operations by facilitating automated hunt prioritization and data collection functions while reducing time allotted for detecting malicious activities.